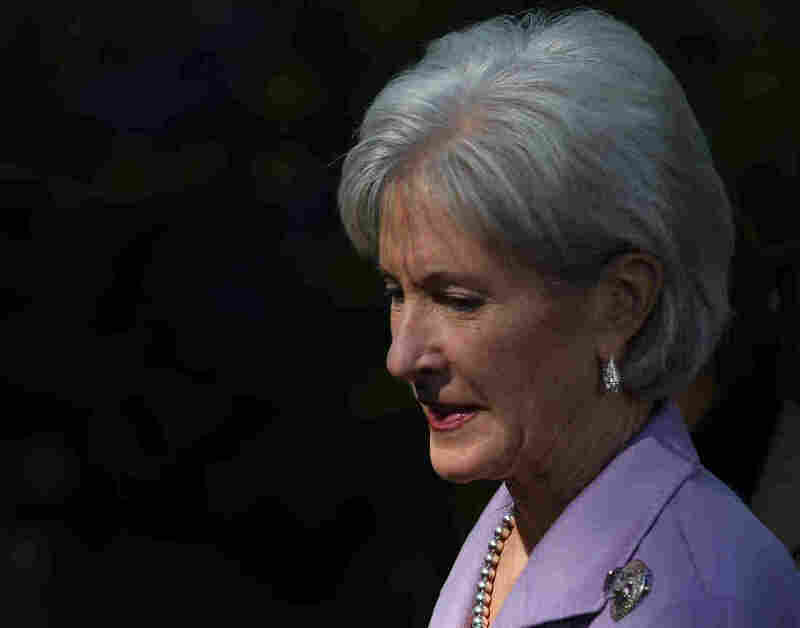 5 Questions Kathleen Sebelius Must Answer : It's All Politics It's not yet clear when Health and Human Services Secretary Kathleen Sebelius will testify before Congress. But it won't be soon enough for the Republicans who are calling for her resignation as a result of the Internet mess that is HealthCare.gov. Health and Human Services Secretary Kathleen Sebelius is likely to have a very long day when she testifies before Congress about the Affordable Care Act website problems. The hottest hot seat in Washington is the one occupied by Health and Human Services Secretary Kathleen Sebelius, whose office confirmed Monday she'll testify about the Internet disaster that is HealthCare.gov, the Affordable Care Act website. It's not yet clear when she'll go before Congress, but it won't be soon enough for the Republicans who are calling for her resignation. Sebelius originally declined to appear before the House Energy and Commerce Committee Thursday, saying she had a scheduling conflict. Many Democrats are also fuming at the shambolic roll out of the federal health exchange website, which isn't just an embarrassment to the administration but a threat to President Obama's legacy. This is a Washington classic, a staple of any investigatory effort. Rep. Fred Upton, R-Mich., chairman of the House committee holding Thursday's hearing, has signaled that he wants to know why Sebelius and others told lawmakers the federal government would be ready to go on Oct. 1 when that was far from true. "Top administration officials repeatedly testified everything was on track, but the broad technological failures reveal that was not the case," Upton said in a news release. "Either the administration was not ready for launch, or it was not up to the job." How many people have actually "enrolled" in health insurance through the health exchanges? HHS on Sunday said there were "nearly a half million applications for coverage." But that's a vague number, as is the definition of enrollment. To some, it means submitting an application; to others, it means actually paying for insurance. The administration has been notably reticent about providing details. Which is why the Republican National Committee is trying to pry them out through a Freedom of Information Act request. Expect plenty of questions from House Republicans seeking hard numbers. How can anyone trust that the problems will be fixed in time when past Obama administration assurances proved so wrong? The Affordable Care Act's open enrollment period is scheduled to end Dec. 15. In a speech Monday that defended the law while also expressing frustration with the website, Obama said: "We are doing everything we can possibly do to get the websites working better, faster, sooner. We got people working overtime, 24/7, to boost capacity and address the problems." Still, experts question whether the website can be made to function as well as it needs to in the remaining time. Expect much skepticism about any assurances Sebelius gives. Do the problems with Obamacare support delaying the individual mandate for a year? This is likely to be a major line of questioning for Sebelius from Republicans. Obama previewed her likely response when he said that Obamacare is "not just a website" — his point being that the law itself is working just fine, and the flaws of one component aren't enough to delay it. Sebelius is likely to be forced to repeatedly push back against this line of questioning. Given the scope of the problem, shouldn't she resign? This is also likely to be a recurring theme during the hearing. Sen. Pat Roberts, R-Kan., a longtime acquaintance, has called for her resignation, as have Sen. Ted Cruz, R-Texas, and several House members. Sebelius has shown no signs that she is considering stepping down and was prominently seated in the front row for Obama's Monday speech. If Sebelius, a holdover from the first term, did step down, it would not only give Obamacare's Republican opponents their biggest trophy yet but would also create more turbulence at a critical moment for the law. So it's unlikely to happen. But that won't stop Republicans from repeatedly posing the question.